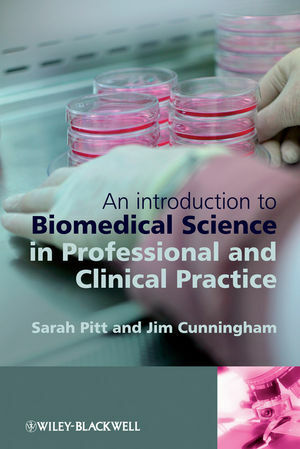 Biomedical Science in Professional and Clinical Practice is essential reading for all trainee biomedical scientists looking for an introduction to the biomedical science profession whether they are undergraduates following an accredited biomedical sciences BSc, graduate trainees or experienced staff with overseas qualifications. This book guides trainees through the subjects, which they need to understand to meet the standards required by the Health Professions Council for state registration. These include professional topics, laws and guidelines governing clinical pathology, basic laboratory techniques and an overview of each pathology discipline. It helps trainees at any stage of training and in any pathology discipline(s) to think creatively about how to gather evidence of their understanding and professional competence. By referring to specialist sources of information in each area, it helps students to explore particular topics in more depth and to keep up to date with professional and legal changes. It is also of value to any Training Officers who are looking for ideas while planning a programme of training for a trainee biomedical scientist. The book includes basic principles of working in the pathology laboratory including laws and regulations, which must be observed, such as health and safety, data protection and equal opportunities laws and guidelines. Practical exercises are included throughout the book with examples of coursework, suggestions for further exercises and self -assessment. Summary boxes of key facts are clearly set out in each chapter and ideas for group/tutorial discussions are also provided to enhance student understanding. Dr Jim Cunningham, Applied Biomedical Sciences Course Leader, School of Pharmacy and Biomolecular Sciences, University of Brighton, UK.